Landlords of tenancies which pre-date April 2007 who are still reeling from the effect of Superstrike now have another Court of Appeal decision to worry them. Charalambou v. Ng, which you can read on Bailii here. Unlike the Superstrike case, here the tenancy became periodic before the scheme came into force too. In this case the deposit was paid in 2002 and the tenancy, after being renewed a couple of times, became periodic in 2005. The tenancy deposit scheme came into force in April 2007. A section 21 notice was served on the tenants on 17 October 2012 by the landlord Mrs Ng, and the tenants defended the subsequent eviction claim on the basis that the notice was invalid. To cut a rather long story short (and you can read the full argument on Bailii) the Court of Appeal agreed with the tenant. 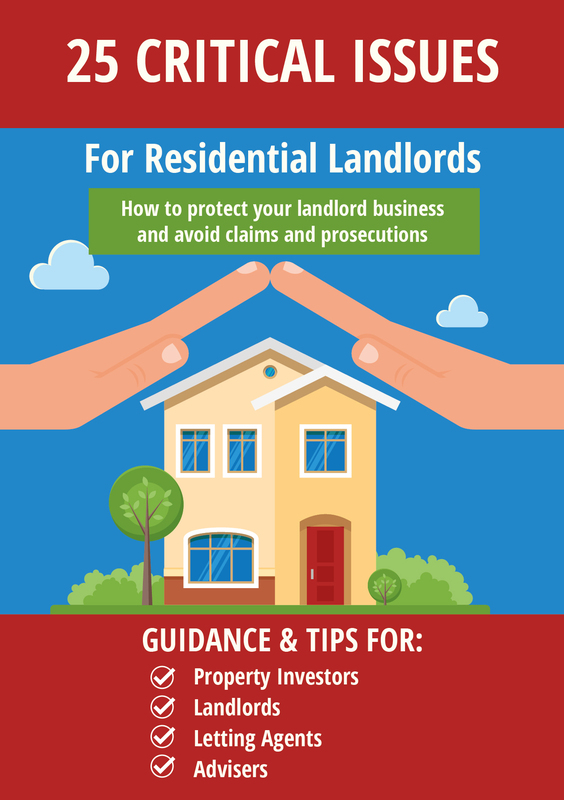 The landlord was not subject to the financial penalty as the scheme had not been in force when the deposit was paid and again when the tenancies were renewed, so she could not have protected the deposit at that time. However she could have protected it later. Indeed before the second set of regulations came into force in 2012 there was a period of time allowed for landlords to regularise their situation and protect all their deposits. (2) Subject to subsection (2A), if section 213 (6) is not complied (this is about the prescribed information) with in relation to a deposit given in connection with a shorthold tenancy, no section 21 notice may be given in relation to the tenancy until such time as section 213 (6) (a) is complied with. The Judge said that the straightforward meaning of the first part of 215 (ie s215(1)(a)) is that if a deposit had been paid and not protected at the time a s21 notice is served it cannot be effective. The fact that the landlord is not liable for the penalty does not alter this. The two are ‘disjunctive’. It is unfortunate that almost everyone has taken the view that the two were not disjunctive and that if you took a deposit at a time when it did not need to be protected, you were completely outside the regulations. In fact these whole regulations have been unfortunate. A second amendment is currently working its way through the parliamentary system, but the Judge in this case has pointed out that the proposed wording of the amendment would not cover this case. David Smith writing on the Nearly Legal Blog has suggested an easy amendment to the wording which would do this, and hopefully the government will take this up. Personally I would like the whole thing re-written in a more user friendly style. As they stand, the regulations are virtually unreadable due to the constant cross referencing which makes them extremely confusing. These regulations are supposed to be for ordinary landlords and tenants to use and rely on – how can they do this with any confidence if the regulations are unreadable and the interpretation and guidance put forward by government is constantly being undermined by the Court of Appeal? We need to have ‘plain English’ laws for consumer legislation. However returning to this case – I am afraid the advice for all landlords who took a deposit before April 2007 should be – if you want to serve a section 21 notice you must either protect the deposit and serve the prescribed information, or return the money to the tenants. 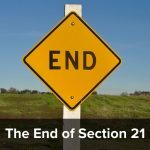 Even if you are not in breach of the regulations insofar as the penalty is concerned, according to this case, you will still not be able to serve a valid section 21 notice while the deposit remains unprotected. « Can a tenant insist on a latching lock on the door? It’s not so hard to protect a deposit tho is it. Pls do the decent thing and put it in a custodial scheme (not an insurance one). It is the tenant’s money after all. The regulations should make custodial schemes compulsory. (save so many dodgy agents et al running off with all that money). Here here as I have always said. Anyway Tessa this case just confirms what Romain correctly said ina post on another article, that the Localism Act 2011 gave 30 days to 5.5.12 to correct all and any TDP anomalies. It really isn’t difficult – comply and be safe. Whilst agreeing that everyone should comply with the law, in the case of deposit protection the problem has been discovering what the law actually is. In the Superstrike case the CA held that the deposit is deemed to have been received again when a new tenancy starts. That is not expressly provided in the legislation. Lawyers were surprised at the decision. Trying to work out what the wording of an Act means is one thing, but bringing in a requirement which is not implicit is something else which even plain English drafting cannot eliminate. The statutory provisions (even as amended) are a classic case of over-elaboration and a failure to cover all the angles. On the basis of this argument LC no one would ever understand or comply with any Statute and argue accordingly. The position here is very clear as espoused by those who said so, as opposed to the “surprised” lawyers. S5 of the 88 Act makes it very clear, and has done for over 25 years, that any tenancy arising at the end of a fixed term AST is a new tenancy. And on any new tenancy the initial requirements must be complied with and the PI re-served. Someone please explain to me what is so difficult about all this – as opposed to being inconvenient and a nuisance (like compliance with many Laws but which is no excuse for non compliance with them). By the way no Law ever covers all the angles, never has done, hence why the CoA etc exist. It is possible to misinterpret a statute for any number of reasons: failure to understand the language; failure to spot that one section is modified by another; failure to spot that a particular word is defined and has a particular meaning; etc. Further, the wording may be capable of more than one interpretation. In such cases if you get it wrong you have to say “fair enough”. The Superstrike case went beyond all that. Let us suppose a literate landlord without any legal training who has heard that he has to protect deposits and that the law was set out in the Housing Act 2004. He consults the Act. What does he find there? He finds an obligation to protect the deposit “as from the time when it is received”. In the absence of any elaboration of that phrase in the Act I think we can forgive our landlord (not to mention all the surprised lawyers) for assuming that protection is only needed once because in practice the landlord only actually receives the deposit once. Even if our landlord is fully aware, despite the fact that the Housing Act 2004 does not direct him to it, that section 5 of the Housing Act 1988 makes it clear that a statutory periodic tenancy is new tenancy it is not clear how that helps. The point is not so much that there is a new tenancy (as to which there was never any doubt) but that the landlord is supposed to know that he has done something he has not actually done, that is to have refunded the deposit to the tenant and taken it again. Whilst over on LandlordZone I did suggest, some time before the Superstrike case, that there was an argument that the deposit could be deemed to have been received again on a new tenancy, I never expected it to be endorsed by the Court of Appeal – a clear case on my part of the triumph of hope over experience. This is not the forum to discuss statutory interpretation, but I cannot help feeling that in the Superstrike case the Court of Appeal have imposed a burden on landlords which it is difficult to justify and which Parliament surely never intended to impose. No statute (or indeed any legal drafting) can be perfect or cover all the angles. There is currently some discussion on whether British statutes should state broad principles or go into detail. If you state broad principles that leaves room for more judicial interpretation and hence uncertainty. The aim of detail is to achieve certainty, but there is always the danger of missing something or getting the detail wrong. However, there is no excuse for plain bad drafting. Whilst every angle cannot be covered and loopholes may be inevitable, there has to be at least some effort made to think things through and check the wording. Parliamentary Counsel are supposed to be expert draftsmen, but sometimes their drafting is woefully inadequate. As originally drafted, the deposit provisions were lamentable. The amendments, whilst they may have cured some of the problems, have introduced others. All in all a complete pig’s ear. But both Superstrike and Charalambous concern themselves with periodic tenancies. Sticking with the theme of what parliament intended, by referring to a new tenancy is it not possible they meant a new AST? A Statutory Periodic Assured Shorthold Tenancy (SPAST) is a new tenancy – read s5 of the 88 Act as referred to by LC and you will see about 8 references to “a new tenancy arising”. That to me, and a few others, has always meant a SPAST is a new tenancy. That then takes us to LCs comment, it is just looking for excuses LC with all due respect. “Failure” in this context means failure to do as you say, which is what is required, cross checking, reading definitions (like “a new tenancy arising?!! !”) and acting accordingly. When a new tenancy is created, either physically with a new agreement or automatically by way of a SPAST you have what I call a protectable incident, others give it other names. Whenever a protectable incident occurs you have to, until the Dereg act amends the 2004 Act (and LA 2010) and says you no longer need to, go through compliance with initial requirements and re-serving PI. Incidentally LC the P word never actually appears in the Statute (protect. It really is very simple, if in any doubt repeat TDP unless you know for certain you don’t have to. I take all your points, they are well made, but how many Landlords and agents knowing of all this since Localism amnesty and Superstrike have still not correctly dealt with deposits. I don’t lay the blame for all this at the door of the Parliamentary Counsel who are expert draftsmen. The problem lies at the doors of CA and their scurrilous Unsafe Deposits report that led to TDP (witness now they are at it again with retaliatory eviction claims). Also all those who jumped on that bandwaggon, and also Govt for rushing through the 2004 Act when taking more time and examining it in the sort of detail being given to the Dereg Act would probably have picked up on many of the defects which as you say, this enfant terrible was born with. 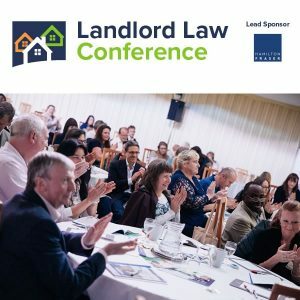 I did a post here https://www.landlordlawblog.co.uk/2013/08/05/why-a-periodic-tenancy-is-a-new-tenancy/ about why periodic tenancies that arise at the end of the fixed term are a new tenancy. If anyone wants to read a bit more on the subject. With respct IO it can’t be THAT simple or we would not have all these problems. The initial legislation did not work the way it was intended to. That sounds like bad drafting to me. Remember HIPS – the only people that didn’t like them were estate agents/vendors. I never heard a word from any purchaser saying they were not a good idea. I’m not saying it is simple, not in the simplest sense of the word(!) but it is simple to examine analysis from those extolling that a SPAST is a new tenancy and that TDP must be repeated to be absolutely 100% safe. That is the whole point here Tessa – when it is so simple(!) to cover one’s backside by repeating initial requirements why not do so. With DPS for example means doing absolutely nothing, and TDS too I think, and with Mydeposits just paying another fee, and then serving another piece of paper which in doing so actually gives you the opportunity to correct previous omissions and oversights, such as leaving the post tenancy address blank. I probably don’t see the difficulties because I was advised, and after debate and discussion, accepted the position as we all now know it right from the start. And also so advised my clients and all those on training courses I deliver. A bit like LC and his intuition but it was spelled out for me. The big difference is if my position had been wrong then all I had dome was wasted a bit of time and some paper, ink and postage. All those who continued railing against Superstrike and even still refusing to deal with deposits and PI accordingly however find themselves in a very different position. As I say if in doubt – and as you say there has always been doubt – why not err on the side of caution even if it is an inconvenient nuisance. Or use an agent who does! !